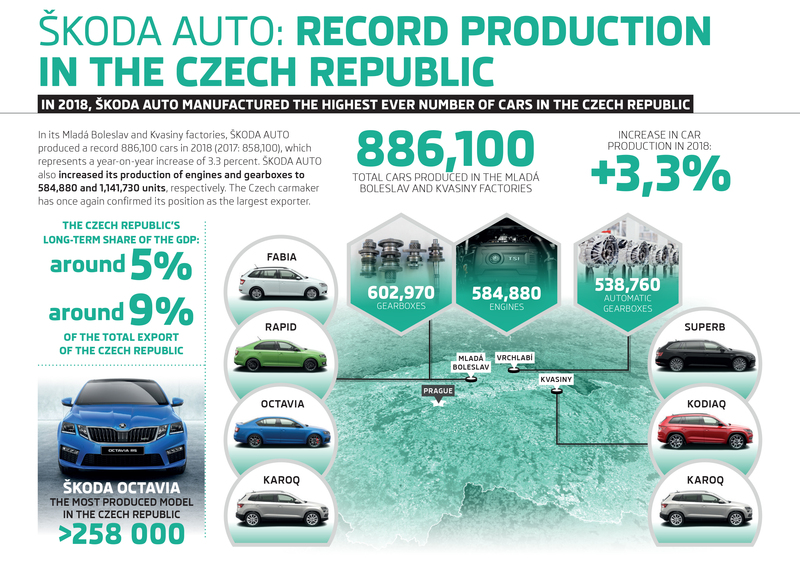 Mladá Boleslav, 24 January 2019 – ŠKODA AUTO produced more vehicles in the Czech Republic in 2018 than ever before in its 124-year history. In total, 886,100 vehicles ran off the production lines at the Mladá Boleslav and Kvasiny factories. This result corresponds to an increase of 3.3% compared to the previous year (2017: 858,100 vehicles) and is the outcome of consistently modernizing and expanding the Czech production sites. In order to secure the long-term future of the automotive sector in the Czech Republic, the manufacturer plans to invest two billion euros in electromobility and new mobility services by 2025. With an endowment fund of more than 30 million euros for Mladá Boleslav, ŠKODA is also supporting long-term infrastructure projects to boost the attractiveness of the region. A total of 886,100 vehicles left the car manufacturer’s Czech plants in 2018. ŠKODA AUTO exceeded the previous year’s strong result by 3.3% (2017: 858,100 vehicles). ŠKODA produces the brand’s best-selling model, the OCTAVIA, in Mladá Boleslav. 258,000 units in the model series were built at this plant in 2018. In addition to the compact model, the KAROQ, FABIA and RAPID models are produced at the main factory. The car manufacturer produces the ŠKODA SUPERB and the SUV models KODIAQ and KAROQ in Kvasiny. In May 2018, ŠKODA expanded its production site in the Hradec Králové region to include a multifunctional competence centre costing 13.5 million euros. This year, the series production of the ŠKODA SUPERB with plug-in hybrid drive will be launched at this location. 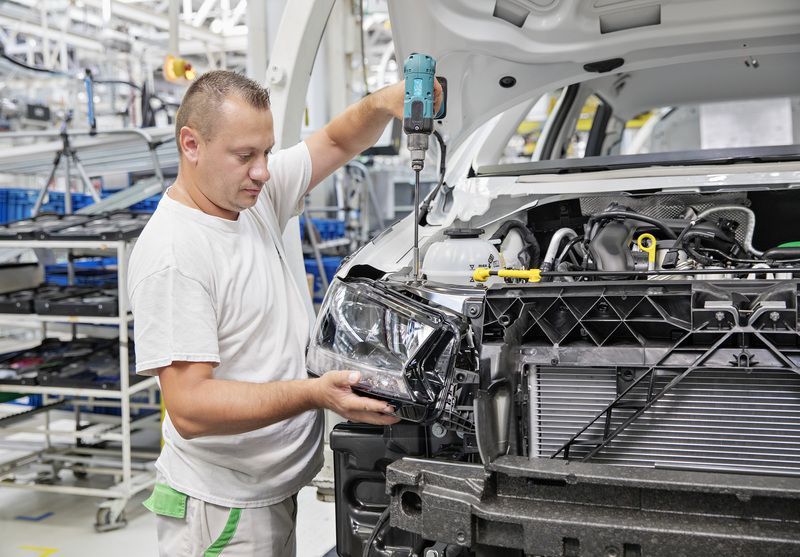 At Vrchlabí, the company’s state-of-the-art component plant, the manufacturer produced in 2018 around 538,760 units of the modern automatic transmission DQ 200, which is used in numerous vehicles of the Volkswagen Group. Additional components are produced in Mladá Boleslav as well. Besides the 602,970 MQ 200 and MQ / SQ 100 transmissions, employees at the company’s headquarters built 584,880 engines last year. As one of the largest employers in the country, ŠKODA AUTO also invests in regional infrastructure projects at its production sites in order to increase the attractiveness of the respective regions. For example, the car manufacturer has established an endowment fund for Mladá Boleslav, providing it with initial capital of 30 million euros. This money is available for projects aimed at strengthening the Mladá Boleslav region. ŠKODA AUTO works closely with partners from politics, public administration and civil society. 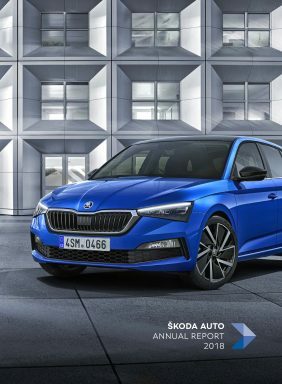 The Czech automobile manufacturer has set the course for a successful future by launching the largest investment programme in ŠKODA AUTO’s history as part of Strategy 2025: two billion euros are to be invested in the development of electric vehicles and new mobility services. The battery-powered version of the ŠKODA CITIGO and the ŠKODA SUPERB with plug-in hybrid drive will be launched this year. The production version of the ŠKODA VISION E battery-powered concept study will follow in 2020.